Or as much as I can fit into my day. And my editing skills are stellar. And I don't get done as much as I wanted to. 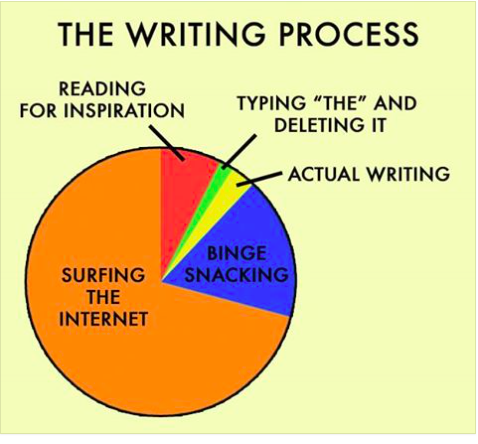 Posted this graphic on Facebook about the writing process. How do you like to waste time?